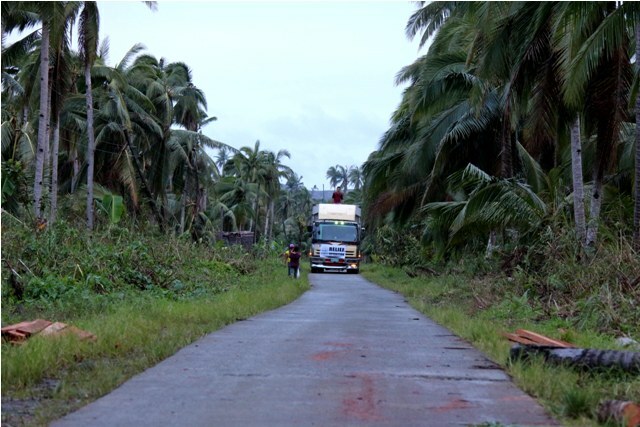 A truck bearing relief bags from NCCP-ACT Alliance for typhoon Haiyan survivors that visited an isolated town in Brgy. Cogon, Basey Samar. A truck-full of relief goods from the National Council of Churches in the Philippines (NCCP)-ACT Alliance bring a glimmer of hope to survivors of typhoon Yolanda (international name: Haiyan) in isolated areas in the provinces of Samar and Leyte. Families in these communities were chosen as beneficiaries because they are the least reached by other service agencies. 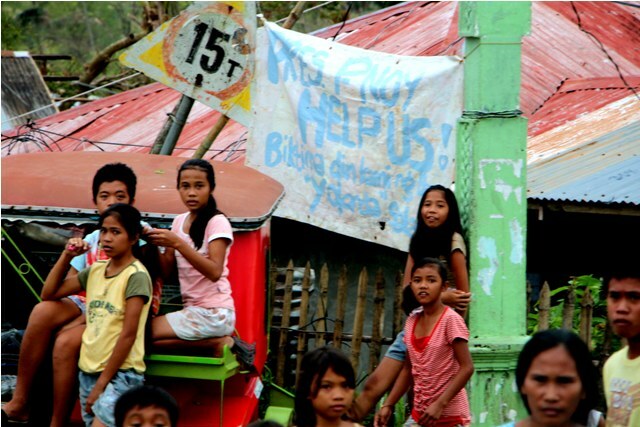 Survivors of typhoon Haiyan hang a streamer along the highway of Sta. 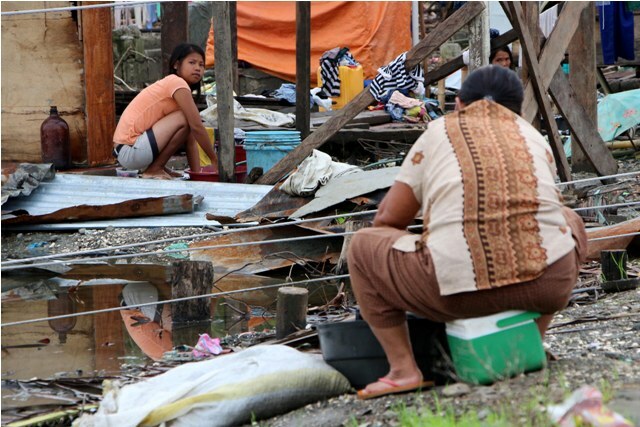 Rita, Western Samar, calling the attention of President Aquino that they also need help. The goods were conscientiously packed by countless volunteers. Even as the community is doing its best to get back to their normal routine and way of life, they were thankful to receive the goods. They were happy and their spirits lifted when “help” arrived as they have been isolated for so long and has not received much needed assistance. 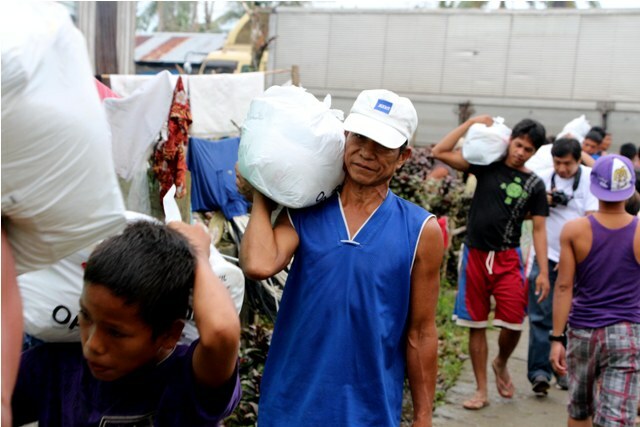 Life goes on for residents of Basey, Western Samar who wash their clothes along the highway. Text and Photos By: Gregorio B. “Jhun” Dantes Jr.